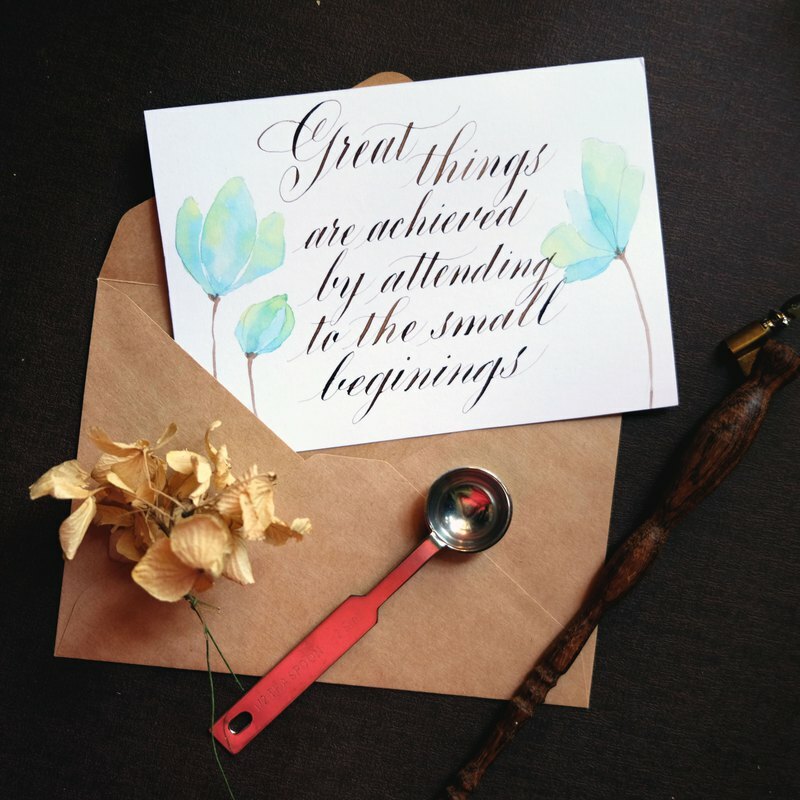 Daily Motivation - Great things have small beginnings! After a long day of exhausted work, we may encounter the time of distress. Tiring and confusing. A simple quote may not bring you through the hard times, but it surely be a trace of warmth in the darkness. Put this card in your calendar or place it on your desk to remind yourself to have a nice day. OR send it to your friend as a postcard to cheer him as you always by his side. Size: 10.8cm * 14.8 cm From Hong Kong ** All handdrawn and handwritten Provide customized services. If you want to order, please contact the designer.